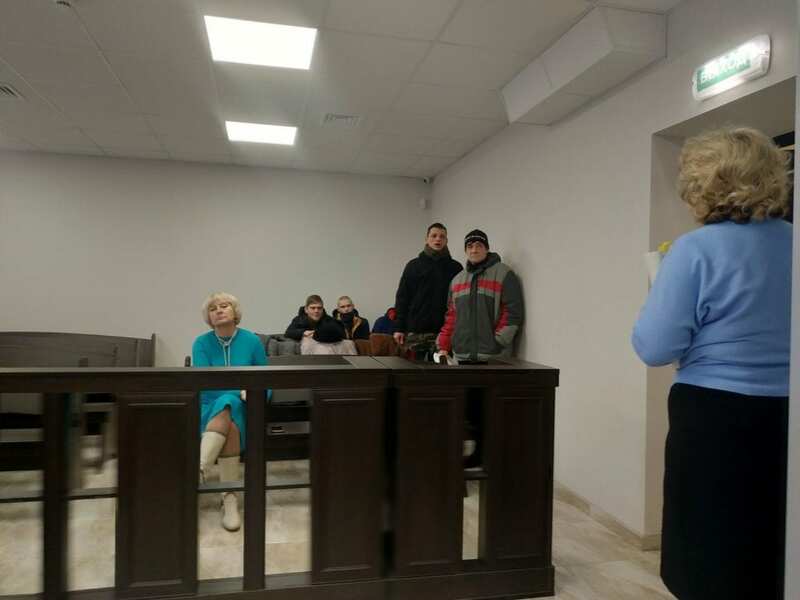 On January 21, a regular court hearing on the case of journalist Pavel Volkov, accused of encroaching on the territorial integrity of Ukraine and assisting terrorists through his journalistic activities, took place in the Shevchenko district court of Zaporozhe. 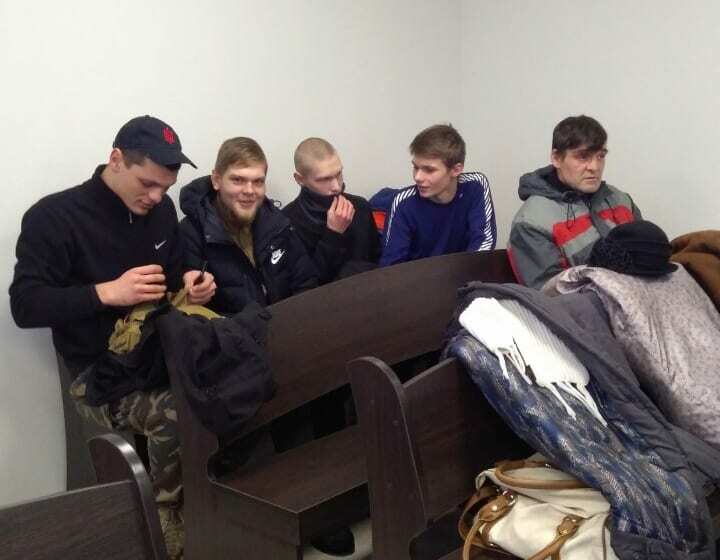 Before the beginning of the court session, five unknown young people entered the courtroom and stated that they were from public organizations, including veterans and participants of the ATO (anti-terrorist operation in eastern Ukraine) and “C14”. Young people behaved aggressively, shouted insults at the lawyers and all those present, and were not sanctioned by the court to record video (recall that this panel was against video filming and for it to be held by the observer of the ISHR, petitions were filed to obtain permission from the court). A verbal altercation with lawyers and others people present in the courtroom led to the fact that the prosecutor, who was also in the room, advised lawyer S. Novitskaya to call the police. The two police patrols who arrived approached a statement by attorney S. Novitskaya, who declared threats and obstruction in the practice of law, as well as a statement from P. Volkov’s wife, Valeria Evdokimova. Later, V. Evdokimova provided the International Society for Human Rights with evidence that her fears about her wellbeing are not unfounded, as the social networks of members of right-wing radical groups discuss the possibility of using physical force on her, and included her home address. Such actions cause the utmost concern of the ISHR Expert Council and should, in our opinion, be closely studied and receive the proper response from law enforcement agencies. Moreover, the factor of systematic attacks and threats must be taken into account, since earlier representatives of right-wing organizations (including “C14”) took active aggressive actions against another accused opposition journalist V. Muravytsky and his lawyer (A. Gozhiy) and also attacked lawyer V. Rybin in the building of the Court of Appeal of Kiev. As it became known from a law enforcement officer, several activists are minors, which further raises concerns of the International Society for Human Rights, because if criminal proceedings are opened on at least one of the police reports (the lawyer or the defendant’s wife) there will be a fact of involvement of minors in the commission of criminal offenses. The court session began again with a delay – at 15:30 (the official time was 14:00), perhaps one of the reasons for the delay was the presence of aggressive activists. According to the information available to the ISHR (namely the video taken by the observer), the court clerk tried to reassure the activists by asking not to delay the court session. 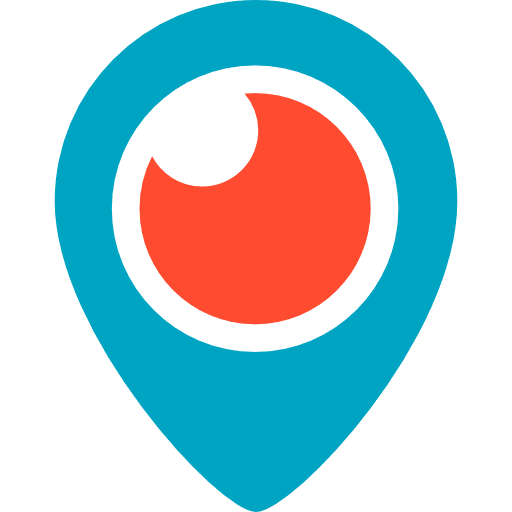 The presiding judge announced that this trial is causing a public outcry, so the press secretary of the court will also conduct the filming, and everyone present can conduct the video only with the permission of the court. The five young men and the assistant of the member of the local parliament who came up later (as the young man introduced himself) were present at the meeting, while filming the video and commenting the process quite loudly without court permission. The course of the trial. The court immediately turned to the examination on two disks (one disk with the results of the examination turned out to be non-working), during the announcement of information on the results of the examinations, lawyers S. Novitskaya and V. Lyapin declared petitions for recognition of examination protocols containing a secret protected by law, as well as for taking a decision on applications submitted in the deliberation room. The court refused to consider these petitions, stating that the parties to the process would have to clarify these circumstances in court debates.Then the court proceeded to the investigation of the Search Protocol, which was conducted on September 27, 2017 by the Secret Service (SBU) at the place of registration of the accused and at the place of residence. The lawyer V. Lyapin filed a petition for the recognition of the said Search Protocol as obviously inadmissible evidence, arguing that the search was conducted with significant violations of human rights and freedoms and with violation of the right to defense, since at the time of the search P. Volkov was actually detained, while the detention report was issued and signed by P.Volkov only 9 hours after his actual detention, and in accordance with the provisions of Article 207 (“No one may be detained without a decision of the investigating judge, a court”), Article 209 (“A person is detained from the moment when he is forced to remain near an authorized officer or in a room determined by an authorized officer by force or by obedience to an order”) and Article 87 (“Inadmissible are evidence obtained as a result of a substantial violation of human rights and freedoms”) of the Criminal Procedure Code of Ukraine; evidence obtained in such a way is recognized by the court as obviously inadmissible. The lawyer V. Lyapin also referred to the decision of the European Court of Human Rights in the case of Rodionov v. Russia, in which the court found in a similar situation a violation of Articles 3 and 6 of the Convention for the Protection of Human Rights and Fundamental Freedoms, drawing attention to comply with all guarantees of the rights of the suspect in the context of the concept of a fair trial. The lawyer also proposed to view the video, which was made publicly available on the SBU website, revealing the circumstances under which the search report of P. Volkov’s place of residence was submitted, claiming that he was actually detained without a detention report suspicion. The video was viewed, after which the court retired to the deliberation room for a decision. Upon return, the court announced the operative part of the definition of refusal to satisfy the request of lawyer V. Lyapin (the full text of the definition will be announced by the court on January 25, 2019). After this the trial, which lasted less than two hours, ended. Three court hearings previously scheduled for January and early February were canceled (officially due to the work trip of one of the judges). Earlier sessions in the case of P. Volkov were canceled due to the employment of one of the judges in other criminal proceedings. As of today, from 10/30/2018 (after a change in the composition of the board), 10 out of 16 previously scheduled sessions were canceled. The International Society for Human Rights has repeatedly drawn attention in the process of Pavel Volkov’s case to the permanent cancellation of court hearings and indicated that such a actions could violate the principle of reasonableness of terms in accordance with Art. 6 of the Convention and Art. 7 of the Criminal Procedure Code of Ukraine. After the end of the trial, the young people who were present at the session gathered near the exit from the courthouse. The safety of the participants in the process was ensured by police officers who remained to monitor the observance of public order. The next hearing is scheduled for February 26, 2019. Experts from the International Society for Human Rights will continue to monitor this trial. Previous materials can be found here.